Penang Math Platform. We offer learning of mathematics over the internet via specially prepared methodology. Going to tuition centers can be tiring for students as well as parents. 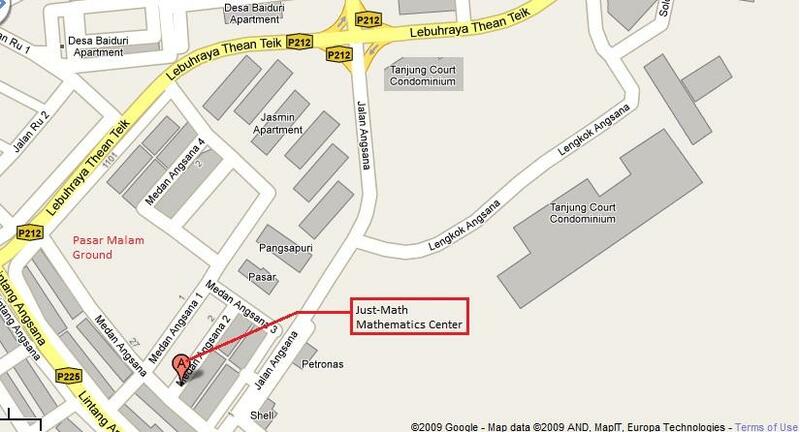 Why not let your child learn mathematics at the comfort of your house? It reduces the stress on your child and yourselves. Our programs are specifically designed for learning over the internet. Communication is via WhatsApp and learning videos are via YouTube. So long as you have a smart devise and an internet connection, you can follow the program. The worksheets for learning and practicing mathematics are designed in such a way that it incorporates small incremental difficulties in each successive worksheets. This way your child will not face major difficulties in learning by going along with the program. The worksheets are also designed in a way that it incorporates all the essential elements of each topic in mathematics. This way, your child will not miss learning these essential elements. Each child learns following their own path, i.e. it is a one-to-one program. The path of learning will be determined by the child's own skills and ability. Your child does not compete with other learners but compete against his /her own abilities. The program is structured towards individual needs depending on their current math ability and skills. If you prefer your child to learn at home (which is more economical and convenient), you can pick our learning through WhatsApp channel to take advantage of the convenience and cost of learning fees (RM50). Worksheet assignments will be provided daily (except Saturday, Sunday and Public Holidays) with supporting videos if needed. You can be assured that this channel will be suitable for your child as we have put in a lot of effort to make learning through internet as our main delivery channel.